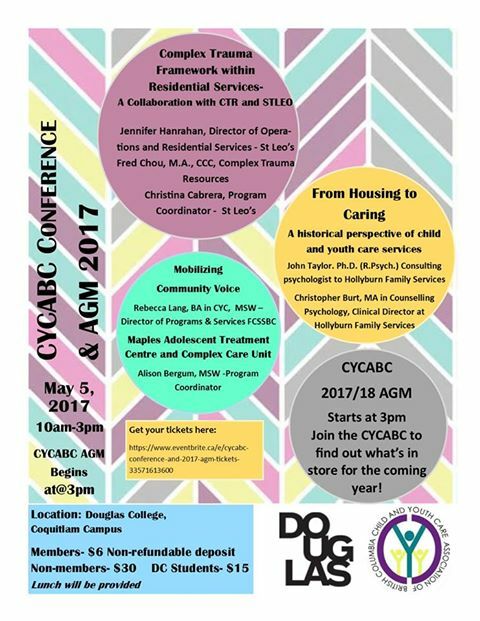 Join the CYCABC for a full day of learning and workshops! The CYCABC has invited corporate members to share some of the expertise and work being done in their organizations. This a great opportunity to connect with other practitioners agencies and employers. End the day with a quick AGM to learn about what the CYCABC is planning for the next year, get an exclusive update on the 2018 National and International Conference.